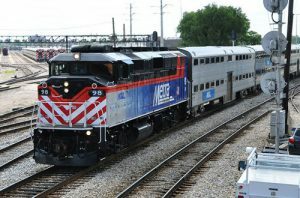 Caltrain launched a one-year project June 18 to boost safety at 15 grade crossings along its railroad corridor spanning from San Francisco to San Jose. 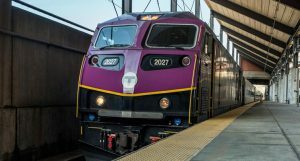 The commuter rail line said its planned safety improvement project is projected to cost about $3.5 million and include the addition of more clearly-marked pedestrian crossings by using new paint striping and lettering, tactile pavement markers and guardrails. New medians are also set for installation and eight locations will see improved medians to preclude drivers from navigating around gates. Caltrain said it hopes the new street markings and signs will also deter motorists from stopping too close to tracks,and that railings are intended to help safely guide pedestrians toward the appropriate crosswalks and entry gates. Officials expect construction to wrap up at all sites by summer 2019. Regularly scheduled work hours at or near each crossing will be Monday through Friday from 7 a.m. to 4 p.m. Crews will carry out work such as glue removal and grinding old paint, pouring concrete, gluing new tactile markers and painting. 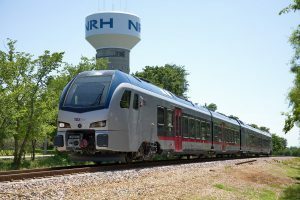 Funding for the project is supported, in part, by last year’s approval of Senate Bill 1, transportation funding legislation that invests $5.4 billion per year in programs meant to repair roads, bridges and public transportation services statewide, Caltrain said.